Candy-ie Runts, skittles, M&M’s, jawbreakers, starbursts etc. This first step is optional but thought it made them a little more decorative and festive. Simply melt some chocolate in a microwave safe shallow bowl. Twist the tops of the cones in the chocolate and then cover with sprinkles. Allow to dry completely on a drying rack. Fill with candy.-Runts would be adorable for this activity, we just did not have any in our Halloween stash. 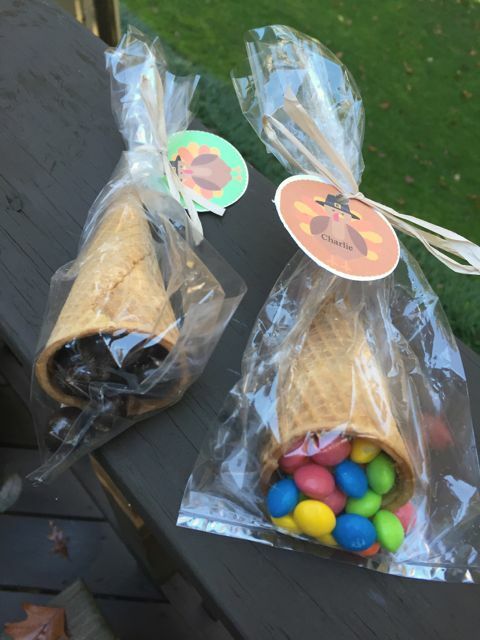 Hershey Kisses and starbursts are great for fillers in the bottom of the cone. Place in a cellophane bag and close the end with a card. Also check out the Chocolate placeholders or these Thanksging Placecards. This one is not edible but very elegant for the adult table. Using up small pumpkins from Halloween and Dollar store leaves. I did these without the kids around so they would not realize how much was taken from their stashes but this would be an easy activity for kids ages 3 and up. I will try to blog one more time with my favorite pie recipe but if not Happy Thanksgiving!! 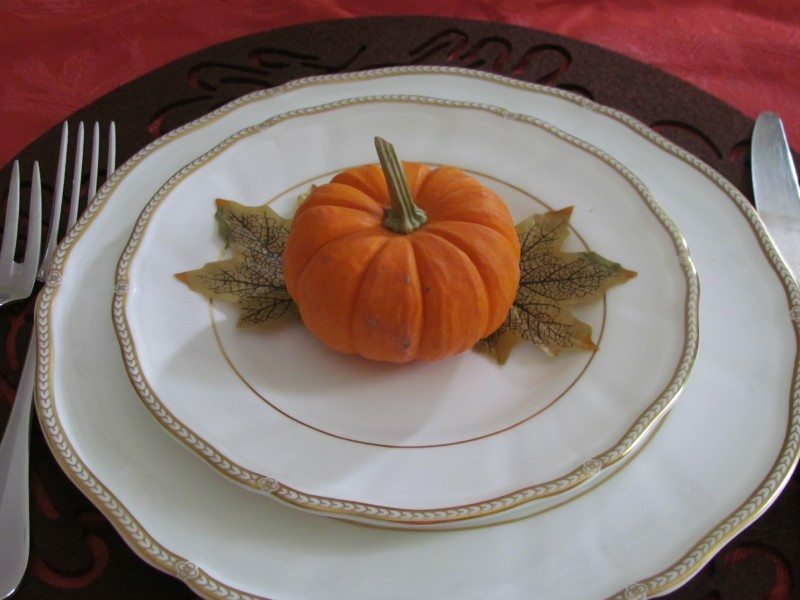 Will you make these Edible Thanksgiving Placeholders? This is such neat idea. I am glad I checked out your blog. I am a new follower.